Call for expressions of interest for archaeological excavations at Quan Lan Island, Vietnam with the Vietnam Maritime Archaeology Project (VMAP) April 2019. Vietnamese archaeologists investigate a large three-chambered brick tomb in Quang Ninh Province. The tombs, approximately 2,000 years old, are thought to be similar to some Chinese tombs of the same time. A grave site laden with stone tools, necklaces and bracelets has been discovered in Vietnam’s northeastern Quang Ninh province. Various ceramics and a kiln have been discovered in the city of Ha Long in Quang Ninh Province, where some of the ceramics still have the fingerprints of the artisans who made them. Artefacts dating to the Ha Long culture (c. 4000 years BP) are uncovered in a current excavation underway at a cave site in northeastern Vietnam. 25 April 2007 (Viet Nam Net Bridge) – The Quang Ninh Museum and the National Museum of Vietnamese Revolution in Hanoi have launched a month-long exhibition showcasing prehistoric Ha Long culture, located in the vicinity of Ha Long bay and city. Ha Long city is widely famous for its beautiful Ha Long Bay. But few know that it is also the site of an uninterrupted ancient culture dating from the first period of the Stone Age, no less than 5,000 years ago. Of a series of archeological items discovered within the past 20 years, there are bones of ancient Vietnamese. These suggest that ancient Ha Long culture is an endogenous culture, which was doubted by some famous foreign archeologists in the first half of the 20th century such as M. Colani (France), and J.G. Andersson (Sweden). All of the cultural layers unearthed at 34 sites throughout Quang Ninh Province contain countless vestiges of ancient Vietnamese. Though human bones werenâ€™t found in those well-known sites (Ba Vung, Bai Tu Long, and Bo Chuyen), in 2001, in the Hon Hai – Co Tien are in Ha Long city, archeologists discovered 43 graves of ancient Vietnamese as well as jewelry, ceramic works and working tools. This discovery has since then dispersed any doubt about the endogenous ancient Ha Long culture. It also shows that 3,500 years ago, Ha Long culture was at its peak. Humans who knew how to create working tools started to explore the sea and trade with those from other areas. An ancient bronze cannon has been unearthed in the ancient Van Don trading port in northern Quang Ninh province. The 70-kg gun, which is 88cm long, was found 30m-deep underwater. Its barrel has a diameter of 5cm. The gun is believed to date back nearly 200 years, according to Dr Pham Quoc Quan, director of the Vietnam History Museum. It was casted after guns used on Spanish merchant or warships. According to Tran Trong Ha, director of the Quang Ninh Museum, the discovery marks a new stage for the underwater archeology sector in the province as well as the northern region of Viet Nam. Scores of ancient ceramic objects were also discovered by local fishermen at the site. 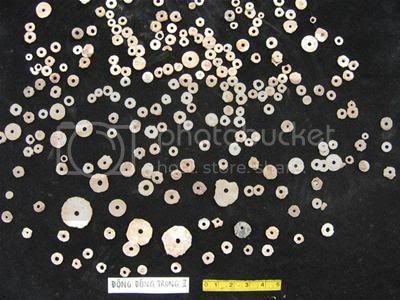 Thousands of relics of the Ha Long Culture dating back 4,000-7,000 years ago have been discovered at the Cai Beo archaeological site on Cat Ba island, northern Hai Phong port city. 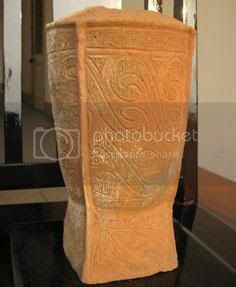 According to Director of the Hai Phong Museum Nguyen Phuc Tho, the museum coordinated with the Viet Nam Archaeological Institute in December to excavate the Cai Beo site. Findings at the site included hundreds of stone objects such as axes, spearheads and pestles, and thousands of ceramic pieces such as pots, bowls, plates and other daily objects.